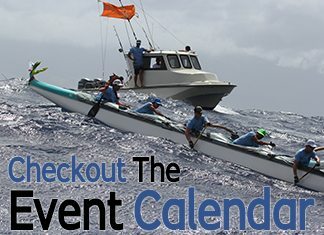 Have you ever wondered what the “polar bear” outrigger clubs endure? 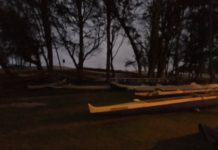 We thought the canoe was a total loss. But we put a “jig” to reform the canoe and miraculously its shape came back. Basically, the frozen water expanded like just like frozen water expands in a pipe which can force a pipe to burst. In our case, the fully rigged canoe kept the middle section, seats 3 and 4, tight and intact. So when the frozen water expanded, the gunwales and hull were forced to bend. Andy Michels and Greg Sherman working on the “Kapakahi Canoe”. 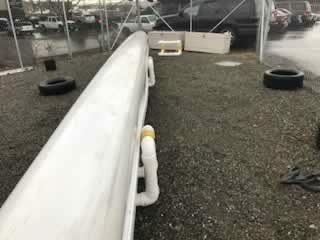 The picture of the upside-down canoe that’s straightened below is the fixed canoe. 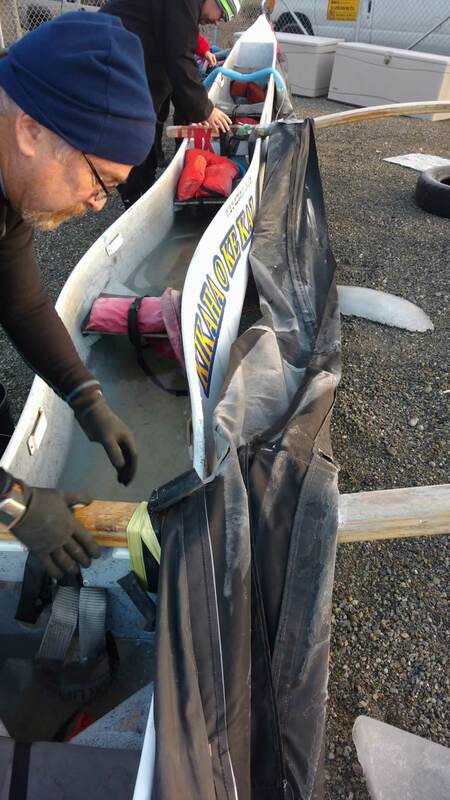 We thawed out the canoe and used large clamps to return it back to its normal shape. Originally we thought it was a total loss! 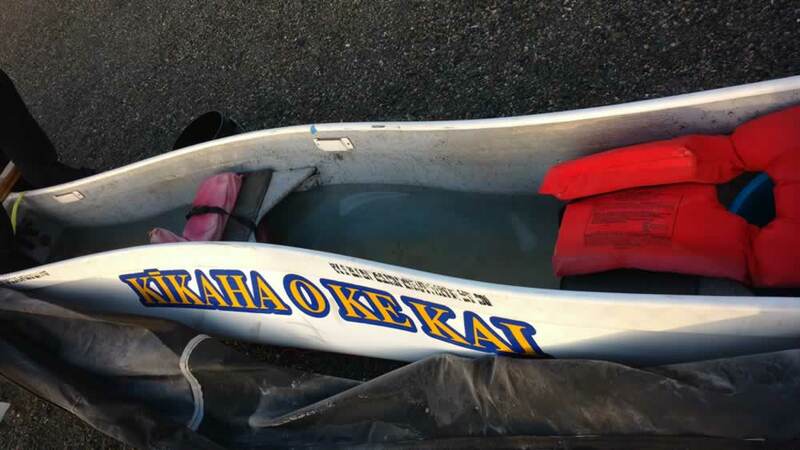 Lesson learned: check on canoes regularly and bailout rainwater. 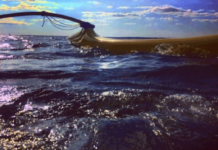 Use good canoe covers, if the canoe is not going to be used often – store it upside down to be safe. 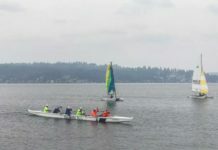 Practice: Foss Waterway, Tacoma, WA.